When someone walks through the doors of the Friendship APL, chances are they are there looking to add a new member to their family. To make that happen, there is a vast amount of work that goes on behind the scenes that the public usually isn’t aware of. That’s not really a good or bad thing, it’s just is the way it is. People aren’t typically concerned with who had the cat or dog prior to them, the struggles that the shelter underwent to obtain the animal or the man hours that went into all of that. Rest assured, the staff and volunteers at FAPL have no desire to promote these things. We just want to match up a loving animal to a loving person or family. Still, with all that being said, a little pat on the back every once in a while is good for the soul and provides some outside reassurance that the work we are doing is recognized by more than just the men and women who help out within the confines of the shelter. 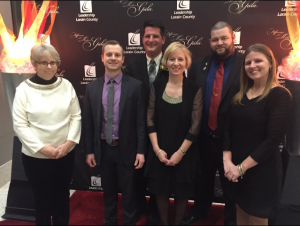 On February 17, 2017, Leadership Lorain County presented the Difference Makers Gala, recognizing the exceptional efforts of leadership throughout the county. 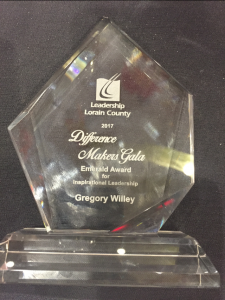 With six such awards presented on the evening, FAPL is proud to announce one of those went to our own Executive Director, Greg Willey. 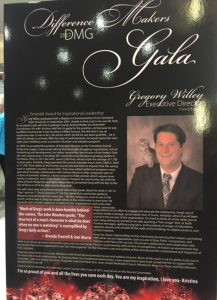 For Willey, a Cleveland State graduate with a degree in communications, his intended path was one of marketing and advertising. Call it fate, the universe or a higher power, this was not to be in his cards. 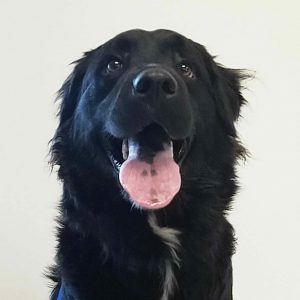 Unable to find work in his field, it took a little coaxing from his wife to pursue a position at the Cuyahoga County Animal Shelter located, ironically enough, on Willey Avenue. If that isn’t a sign, I don’t know what is. Nevertheless, Greg Willey was hired there and after nearly a decade of improving their adoption and volunteer programs, left to take on his current position with the Friendship Animal Protective League of Lorain County in 2009. Under Greg’s tutelage, FAPL has gone from aiding 1,100 animals per year to almost tripling that today. In that same span of time, volunteer hours at FAPL have more than tripled while also helping animals find homes throughout 18 Ohio counties. To quote a line from Spider-Man, “With great power comes great responsibility,” so it is rather appropriate to point out Greg Willey has excelled with the responsibility that comes with the territory of his position. Thank you to the FAPL Board for their recommendation of Greg to the Leadership Lorain County organization and an even bigger thanks to Greg himself for the selfless work he continues to do.